Who was St. Patrick? Why shamrocks? 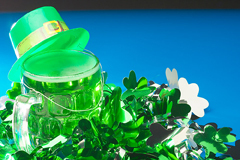 What's with Leprechauns, green beer and the parade? Here are some fun facts and legend surrounding the most widely celebrated religious holiday by non-catholics and catholics alike.